A series of bold transport initiatives will soon be seen in Winchester, thanks to funding of 7.5 million Euros from the European Commission to Hampshire County Council and the Transportation Research Group at the University of Southampton. The European funding will allow the County Council to implement innovative measures to improve urban transport in Winchester, supported by research from the team at Southampton led by Professor Mike McDonald and Dr Greg Marsden. The contract has been signed and the four-year project starts officially on Friday 1 February. The main aims of the MIRACLES project are to reduce environmental impacts caused by local traffic, to increase accessibility within the city and to achieve an overall improvement in quality of life for residents. MIRACLES stands for Multi Initiatives for Rationalised Accessibility and Clean Liveable Environments. Winchester is one of 19 cities across Europe funded to take part in pilot projects under the European Union's CIVITAS initiative (City-Vitality-Sustainability), and will be linked with Cork, Rome and Barcelona with the aim of sharing information during the MIRACLES project. Specific initiatives in Winchester will include encouraging 'clean' vehicles in the city through reduced parking charges, equipping park and ride buses with clean engine technology, developing a 'smart' bike hire scheme to connect public transport with tourist and business destinations and providing secure bike parks. The role of the Transportation Research Group will be to assess the extent to which the various initiatives will contribute to local transport policy in Winchester. 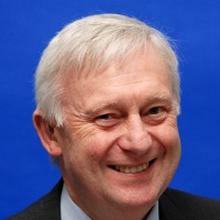 Professor McDonald will also be responsible for the overall evaluation of project activities across the four cities. "I am delighted that our expertise in transport engineering and new technology will help to identify innovative solutions capable of tackling some of transport problems in Winchester and elsewhere," said Professor McDonald. Councillor Keith Estlin, Hampshire County Council's Executive Member for Environment, commented, "The MIRACLES project heralds the formal start of some excellent environmental transport improvements. These measures will go a significant way towards helping to protect Winchester's historic city centre from some of the problems associated with pollution." The Transportation Research Group (TRG) undertakes research on a range of traffic safety and management issues, intelligent transport systems and integrated transport management projects. TRG is part of the Department of Civil and Environmental Engineering which was awarded the top 5* grade in the recent Research Assessment Exercise.